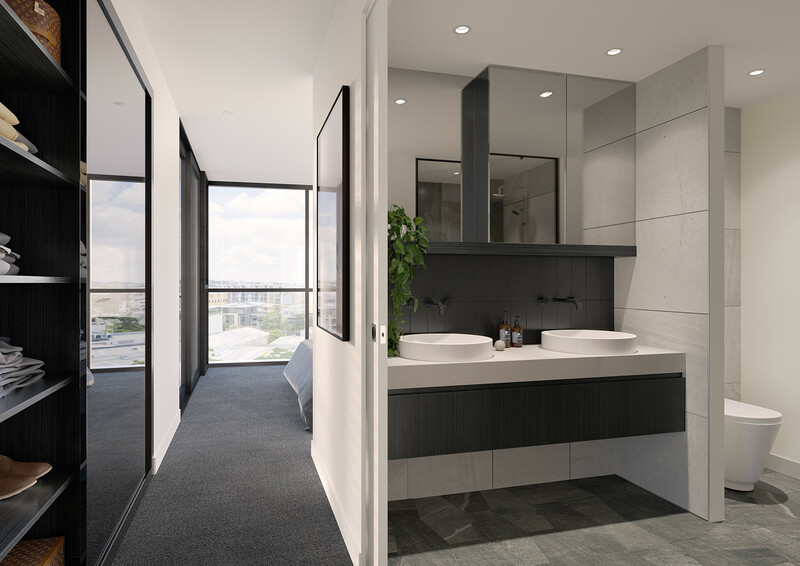 Discover a truly extraordinary residential experience with outstanding, hotel-style luxury apartments, right in the heart of dynamic, exciting, Newstead. 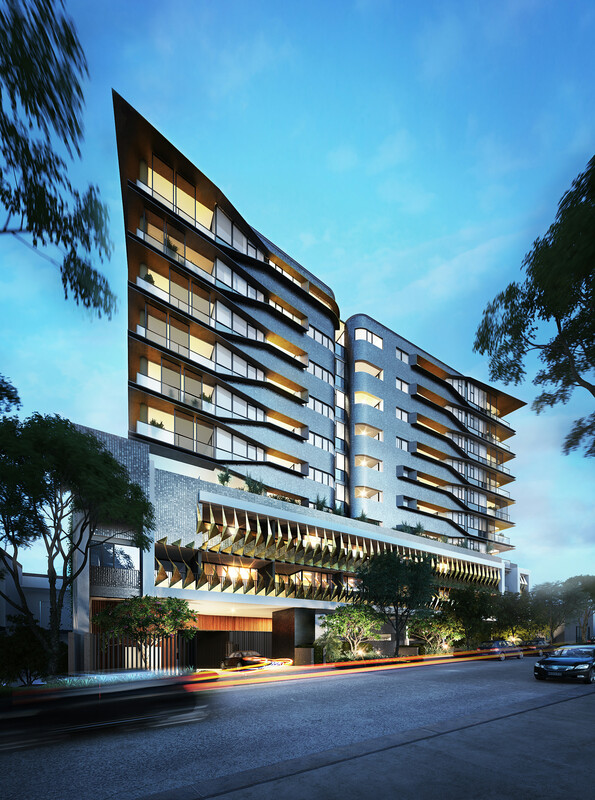 Where Old Brisbane meets the New in a richly rewarding riverfront precinct. 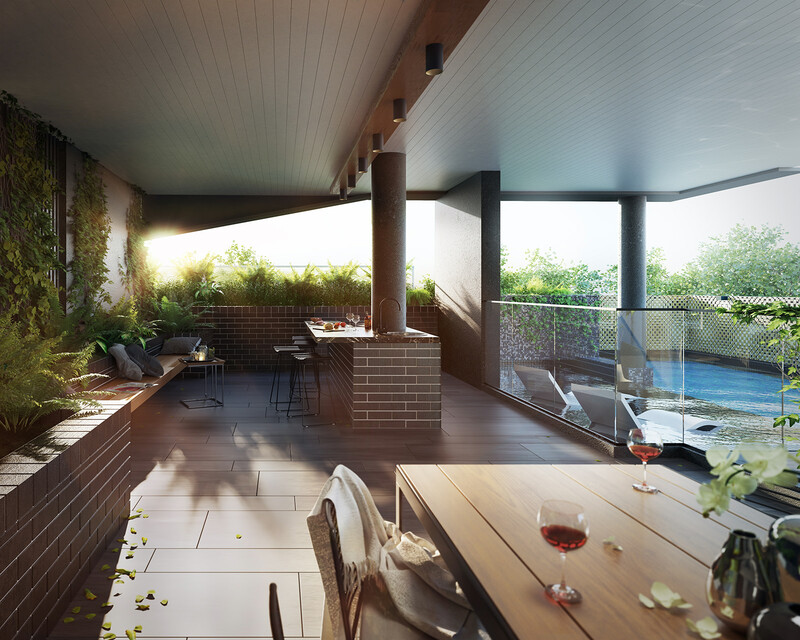 Come home to brilliant designer living in one of Brisbane’s most exciting locations. 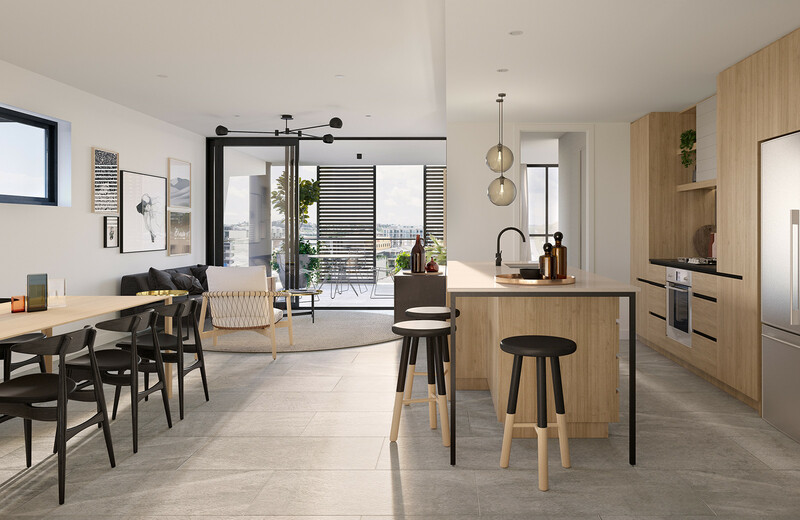 Taking their aesthetic cue from Newstead’s rich history, Nero’s plush residences present an artful integration of stylish industrial references through materials like metal mesh, plywood and brick, along with glamorous details in gold and brass. Light filled spacious living areas are met with the moody contrasts of dark timber joinery. 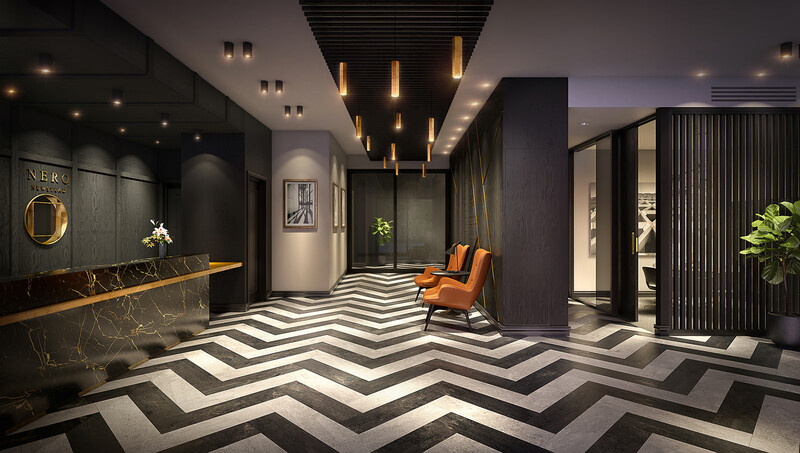 Composed with sophisticated flair by Daniella Rowles Design, Nero interiors combine classical appeal with sleek, contemporary styling and a striking palette of feature blacks. 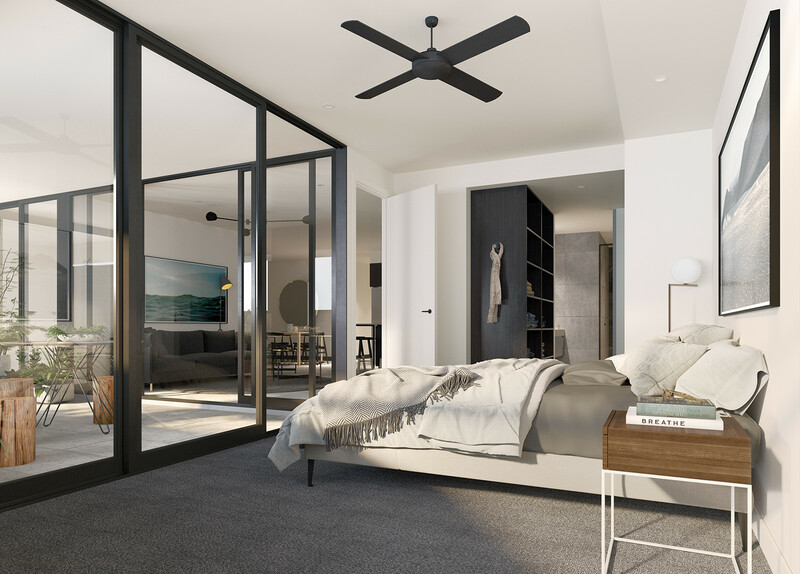 Full height floor-to-ceiling doors and windows blend indoor and outdoor living seamlessly and convey an effortless sense of openness and space. Kitchens feature quality European appliances and designers have placed a real emphasis on providing substantial storage options, robustly engineered and beautifully finished.